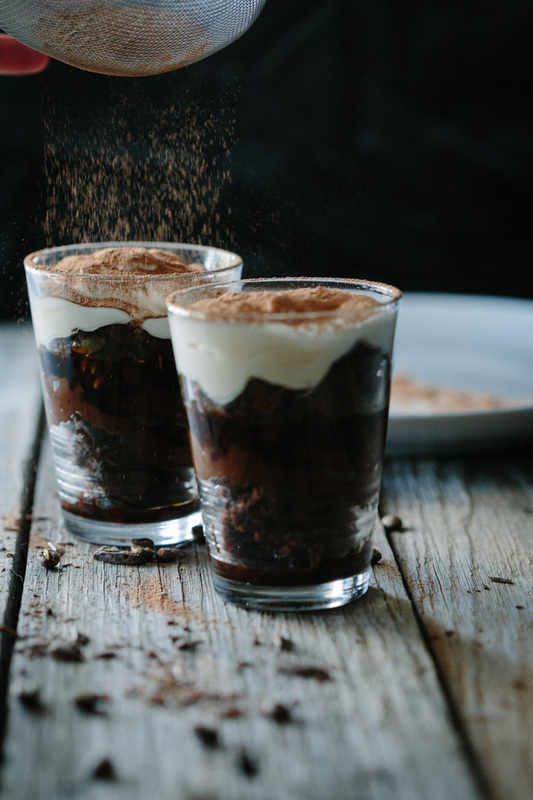 Using my recipe for Slightly Salty Chocolate Brownies as a base, these Decadent Chocolate Brownie Tiramisu Two Ways brings sweet cravings to heel whether you are feeling naughty or nice. 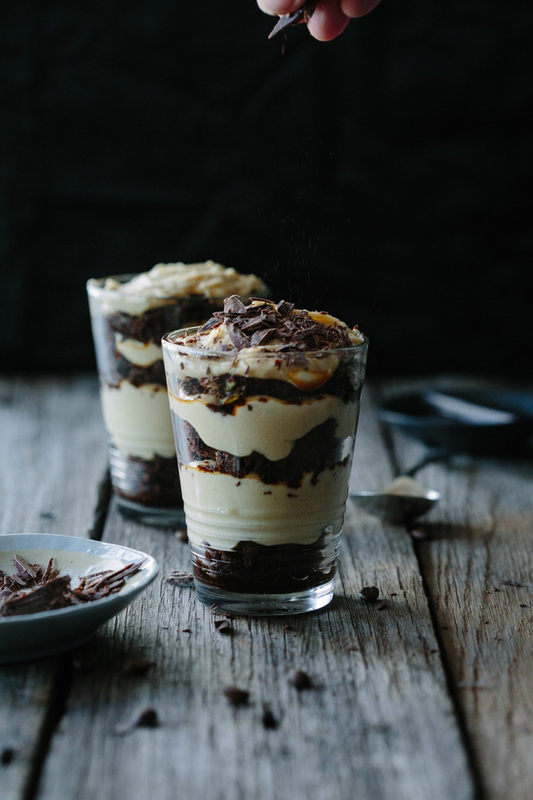 With traditional coffee and chocolate flavours, these puddings are a new take on an old favourite. I intended to post a healthy noodle dish today but the tummy wants what the tummy wants and this tummy wants chocolate. I think my tummy and the Elf’s tummy are in sync because she was as enthusiastic in her quality assurance role as I have ever seen her. 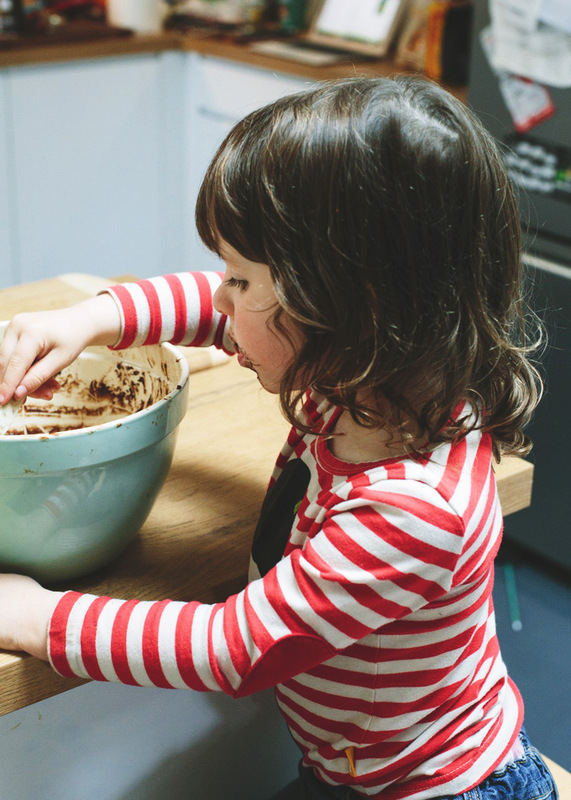 The Husband made the brownie making this recipe a true family collaboration. 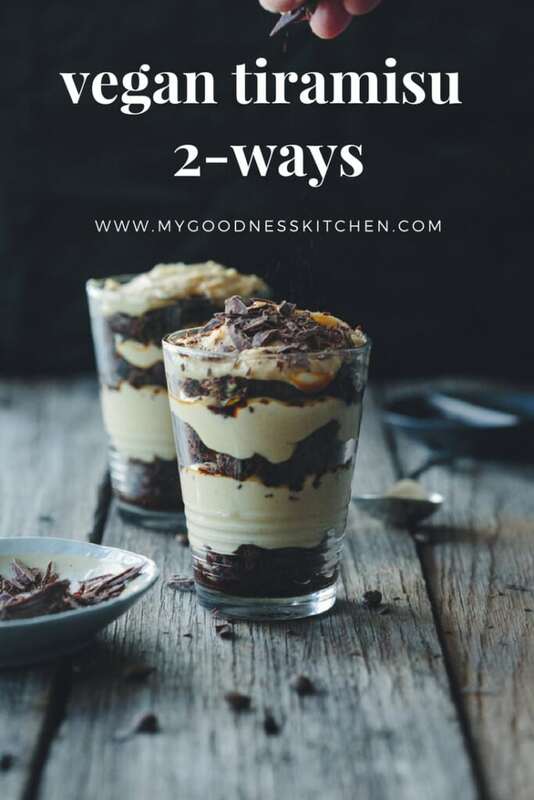 I created this decadent chocolate brownie tiramisu two ways for two reasons. 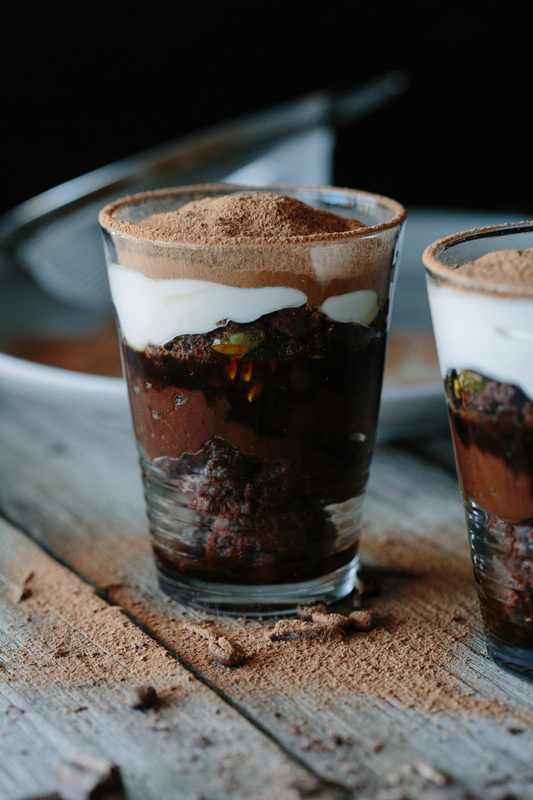 Firstly, so the Elf could partake in this chocolatey dessert too – we simply omit the coffee leaving the chocolate avocado mousse and chocolate brownie – and secondly so that we can indulge even when we are trying to be healthy. Two versions with two agendas. The “naughty” tiramisu recipe most closely resembles the traditional version with creamy coffee infused cashew cream, sweet espresso syrup laced with Kahlua and topped with shaved dark chocolate. Can I hear an Amen to the gods of chocolate and all things decadent. The second version, while tasting wicked is reasonably prim. 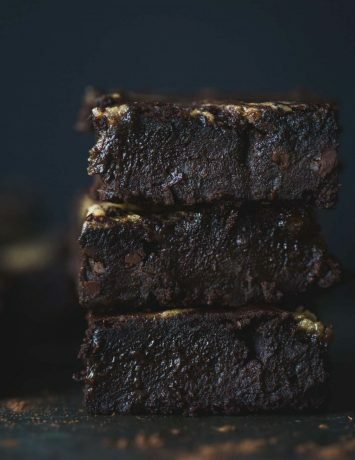 Again using my slightly salty chocolate brownie recipe (complete with hidden pumpkin and banana) and an avocado mousse for added chocolate, this version uses a straight coffee syrup (minus the booze) for a clean yet decadent treat. Clean yes, boring? Never. Whether you’re feeling in the mood for an over the top decadence or simply a little G-rated sweetness, I have the tiramisu for you. For the devilish; chocolate brownie, creamy cashew cream, Kahlua coffee syrup and shaved chocolate. Do-gooders? Chocolate brownie, chocolate avocado mousse, coffee syrup straight up and vanilla coconut yoghurt. 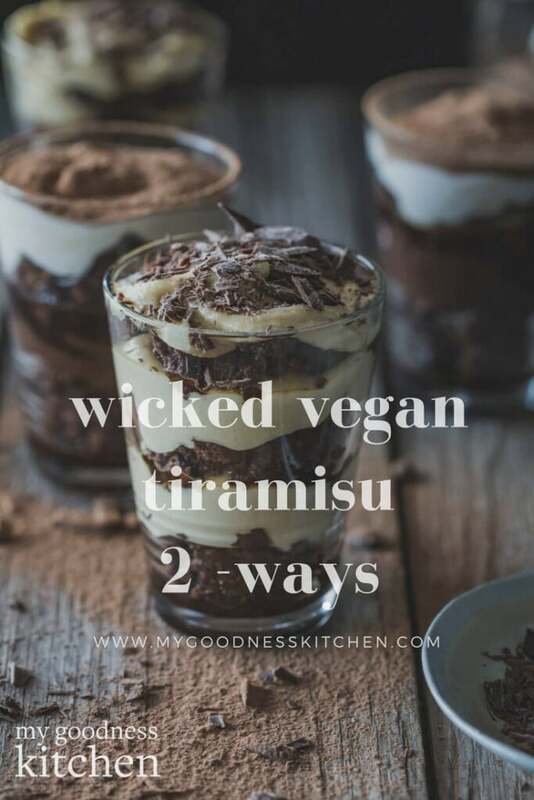 These Decadent Chocolate Brownie Tiramisu Two Ways bring sweet cravings to heal whether you are feeling naughty or nice. 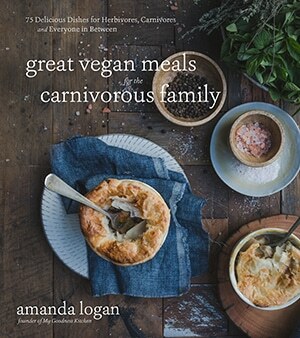 Both vegan. Both delicious. 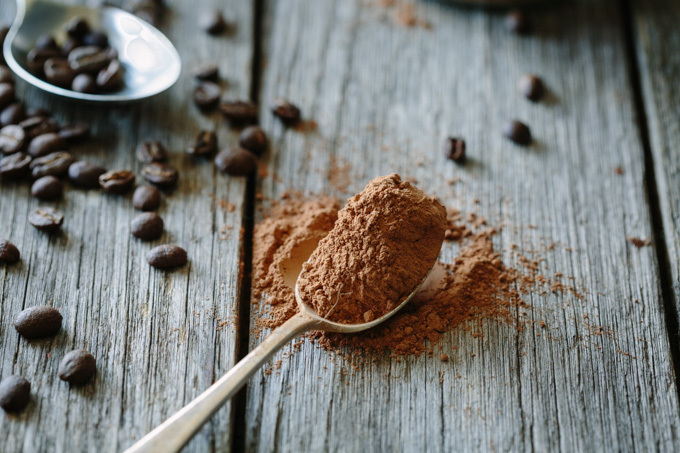 Dairy-free dark chocolate or cocoa powder to serve. 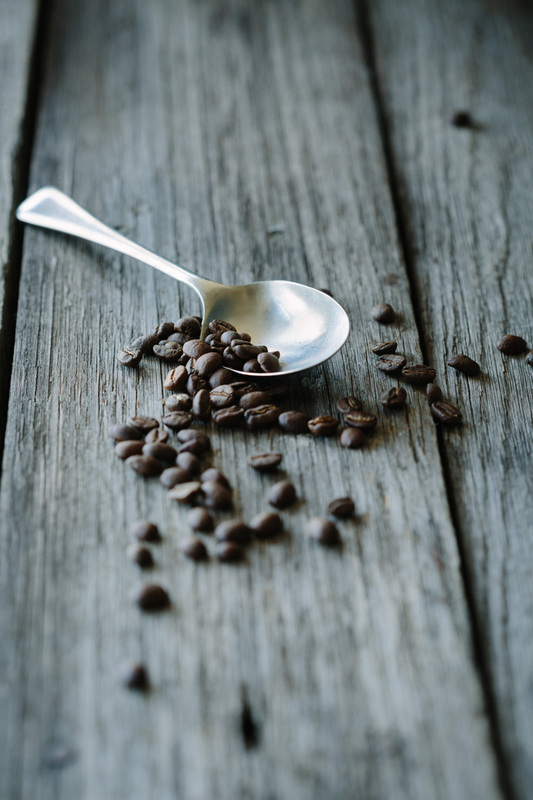 To make the coffee syrup, combine 1 cup of freshly brewed coffee and 1/3 cup of maple syrup in a small saucepan and bring to a boil. Reduce heat and simmer for 4 minutes or until the syrup begins to thicken. Take off the heat to cool and continue to thicken. If making the "naughty" version of tiramisu, add Kahlua. To make the cashew cream (naughty) combine the cashews, vanilla, soy milk, coffee (2 tsp) and maple syrup (1/3 cup) in a blender and blitz until smooth. To make the chocolate avocado mousse (nice) blend (in a blender or processor) the avocados, cocoa, maple syrup (2 1/2 tbs) and olive oil until smooth. To make vanilla coconut yoghurt (nice), mix vanilla extract and natural coconut yoghurt in a small bowl until combined. Depending on which recipe version you are creating, assemble the dessert in layers using either the chocolate avocado mousse or the cashew cream. 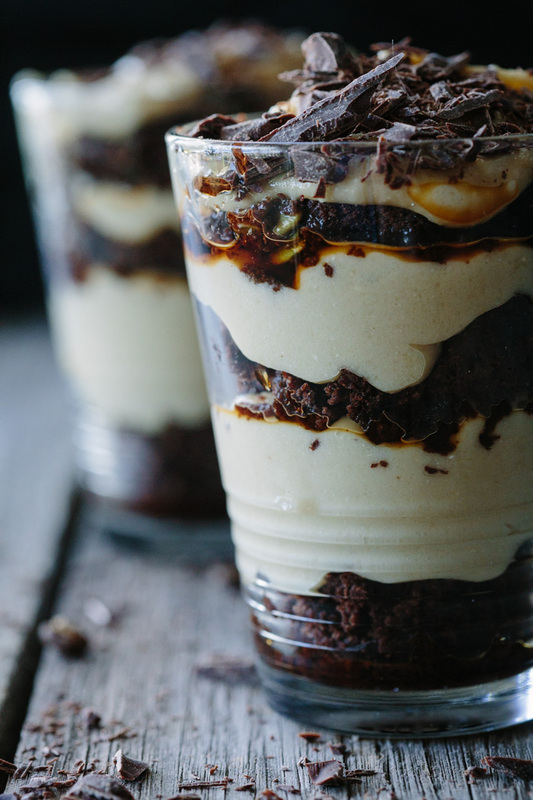 Break the brownie in to large crumbs and chunks and place a layer in each glass. Spoon one or two tablespoons of coffee syrup over the brownie. Add a layer of either mousse or cashew cream on top of the brownie. Add more brownie and more coffee syrup. 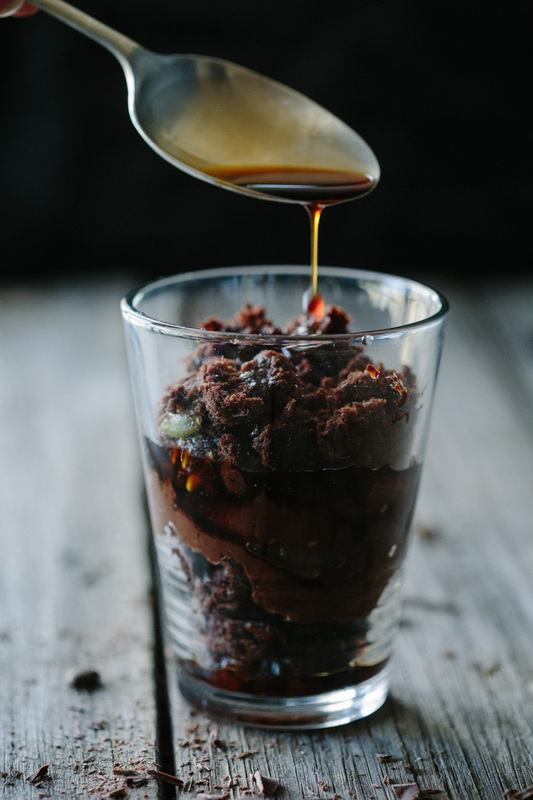 For the "naughty" version continue to build to the top of the glass, sprinkle with dark chocolate shards and put in the fridge for 30 minutes. For the "nice" version, add a dollop of mousse to the brownie layer followed by a good dollop of vanilla coconut yoghurt. 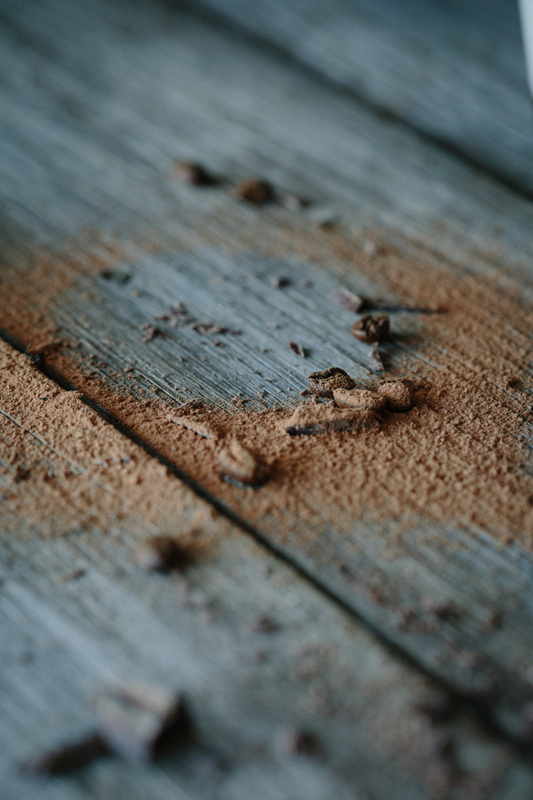 Dust with cocoa or cacao and set in the fridge for 30 minutes.